Dismounting: Longer than 8 meters model need to be disassembled into parts. FCL: Whole model is covered by air bubble film and sponge to protect the important and breakable parts like eyes, claws and edges. LCL: Air case/wooden case for packing, whole model is covered by air bubble film and sponge to protect the important and breakable parts. Full inspection: All the models have to be pass the 24hrs functional test before shipping. 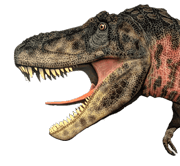 Clearance: We are a very experienced dinosaur exporter.We obtain export entitlement and have experience with clients from UK, USA, Netherlands, Germany, France, Italy, Spain, Portugal, Poland, Turkey, Australia, South America, Brazil, Argentina, Peru,Korea, Japan, Thailand, Singapore, Belgium,Sweden, Cezch, Russia, Mexico, UAE, Switzerland, Denmark, Norway, Indonesia,etc.